The article presents the concept of victim and criminal inversion. Interaction cases are analyzed, where victims provoke actions of a criminal who can be described as reflexive, instinctive, impulsive, or the like. 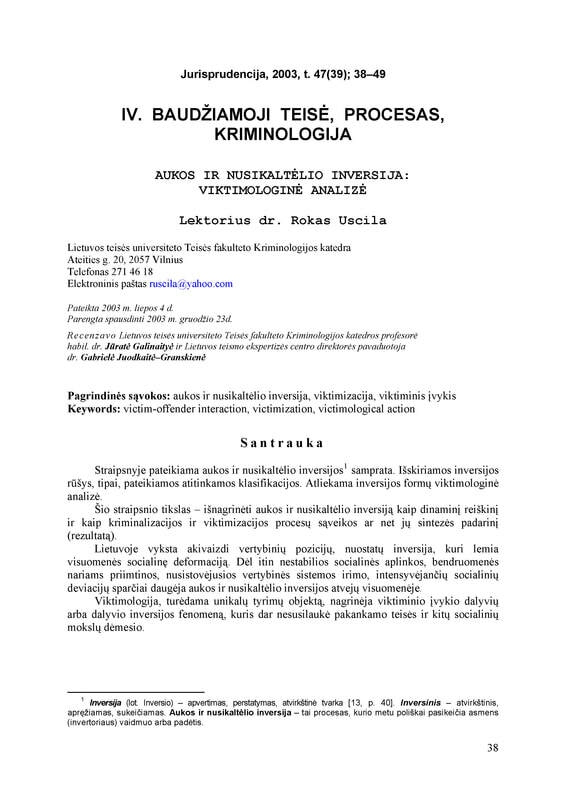 Lithuanian High-Court summaries of the practice, which refers to the serious The fear of the victim, the victim and the inversion of the perpetrator is evident.